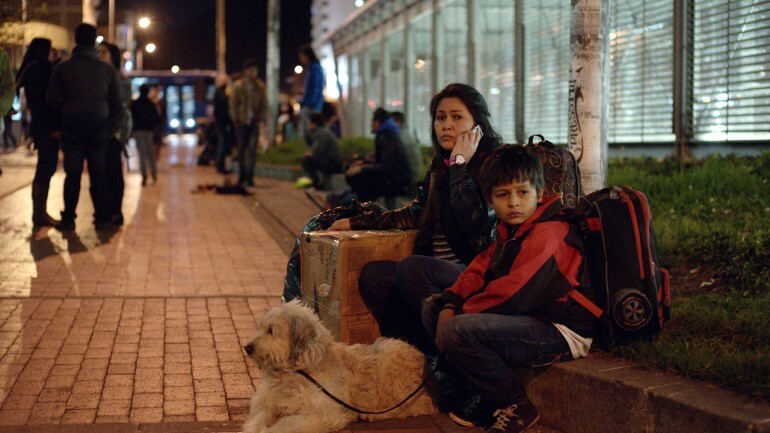 Eric is sent to live with his father, Gabriel, in an indigent sector of Bogota. The two struggle to relate to one another from the get go, establishing an emotionally precarious relationship between father and son. Complicating matters is Eric’s exposure to the wealthy lifestyle of the family that Gabriel does odd handyman jobs for. As Eric gets a taste of what privileged life is really like, he begins forming a strong bond with the opulent family. A series of incidents belie the authenticity of this relationship; as the disparities between the two social classes reveal surprisingly toxic behaviors.